The decision to buy and the decision to sell are two sides of the same coin. As we age simple home ownership tasks become more complex. Maintenance and other issues often get deferred. Most of all circumstances change and we rarely look that far down the road to comprehend that that house we purchased many years ago now has accumulated a list of maintenance issues that you may not be able to address with a hammer and a screwdriver over the course of one or two weekends. 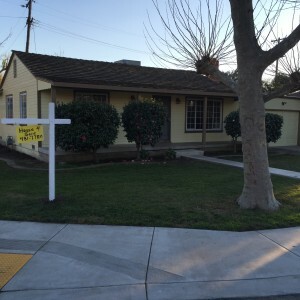 That realization can be overwhelming, especially if you want to sell your Stockton house fast. 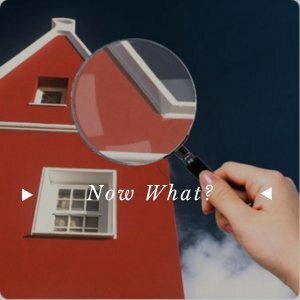 So many things can and do happen: Aging, retirement or loss of income, illness, or even ties to communities change and as those changes occur your ties to a house may weaken as well. At some point you may want to sell your house. That was the case for Elizabeth. Retired and living in a Stockton alone. Sure she had friends, but she was not married and she had no children. After 35 years of living and working in Stockton, she wanted to move back home to Michigan. Her family was there and so was her family home that was hers if she could orchestrate the sale of her home with minimal out of pocket expenses and get the price that she wanted. Sometimes you just don’t have the all of the resources to do it all on your own. Sometimes it takes a little “out of the box” thinking to accomplish your goals. Sometimes the only thing standing in your way of moving on is an unwanted house that has turned from an asset into a giant liability. In my business it all begins with a phone call, text or an email. It really is that simple. This is the story of Elizabeth and her 6 month and 1800 mile journey back home. 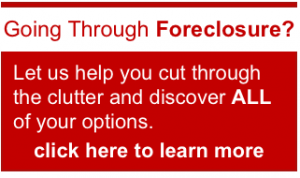 When I received the call, I was at the Title Company office delivering a check for a recent purchase. I wasn’t pressed for time as I was waiting for the escrow officer to meet with me. I didn’t recognize the number so I knew it was a potential homeowner and I answered the call. I was greeted by a pleasant voice that immediately told me she was referred by a previous client of mine and she wanted to discuss selling her house. She told me that she had started to remodel the house and she had run out of money and because of medical issues she could not complete the project. She also stated that she had never done this before and was a little apprehensive because she didn’t understand the process and how things worked. 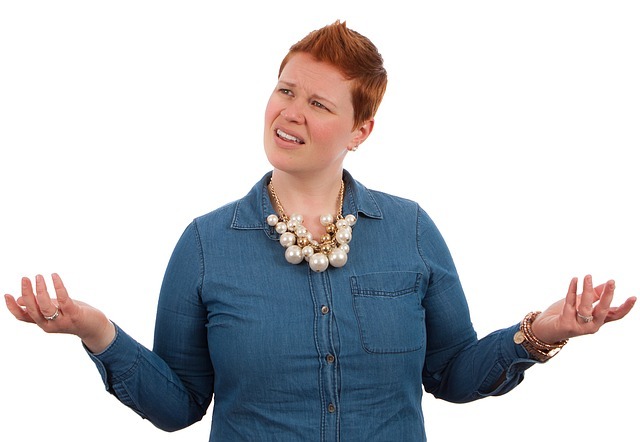 She explained that she had contacted a real estate agent a few months ago, but she didn’t like the thought of spending a lot of time and money on fixing things that weren’t going to help her sell her house now. She explained that she didn’t have six months or a year and that she wanted to be out of her house within 45 days. She asked if I could do that. As is the case with most people, they want to believe that things can happen as fast as they want, but what usually gets in the way is the conventional wisdom shared by everyone else that knows a thing or two about real estate telling them it can’t be done. This is usually when most people retreat and abandon their goals and aspirations without going to the next step. Elizabeth was at that very teetering point. The bottom line was that she wasn’t convinced that I or anyone else could help her right now. She also knew that her house could not be sold to a conventional buyer in its current condition because her house needed a lot of work and she didn’t have any money to do what the real estate agent wanted. 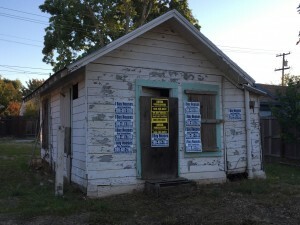 She also wasn’t convinced that even if she made the necessary repairs that her house would be worth that much more or be able to be sold in a timely fashion. What she really wanted to know was how things worked. The nuts and bolts. She wanted to know whether I could help her today to accomplish her goals tomorrow. I explained, that I understood what she wanted and needed to get done, I wasn’t sure based on the numbers that it would work. I explained that I needed a little more information about the house. We talked about the house (number of bedrooms and baths, garage, any conversions or additions, the age of roof, etc) and I outlined what would need to happen in order to help her. In short, I made a commitment to her that I would take this to the next step quickly to see what I could do over the next several days and I outlined it all. We would need to complete a comparative market analysis to determine the real current value of te house. After talking about the house we made an appointment to perform walk through the next day. Initially Elizabeth didn’t want me to come over. She was concerned that her house was not ready to “show”. She explained that she had begun packing and that there were boxes throughout the house. She explained that she had been ill, so along with the house not being ready, the yard was a mess and that she was embarrassed. I explained that she was not “showing” the house and that based on her needs now was as good as any time. For all of you out there worried about the condition of your house, I have a News flash, houses can be cleaned and yards can mowed, they do not determine the value of your house”. Please be aware that house keeping and curb appeal is NOT what I am interested in. There were so many concerns that Elizabeth had all stemming from her belief that no one could help her accomplish her goals without it taking a lot of time and costing her a lot of money. All she wanted was to get the house sold and get a fair price. She wanted someone to show her that it could be done on paper, but what she really wanted was a commitment from someone that it would get done in an agreed upon time frame. She needed a team and someone to lead it. The first step in the evaluation process usually happens with a walk through. It is not as ominous as it sounds. There is nothing to get ready for. I don’t care if the lawn is mowed and the flower beds are weeded. I don’t care if the trees are over grown. In my experience those things add no value. I am NOT looking for curb appeal and I know that before I get there, that generally speaking, I am not coming to see the prettiest house on the block. But what I do know is that it can be and that is why I am interested in buying it. Most homeowners are inherently convinced and almost shamefully so, that their houses are not ready to have a visitor with prying eyes. I try to reassure them that I am not the guy that wears white gloves and secretly evaluates anyone’s housekeeping skills. I explain that I also live in a house and mine is rarely ready to have someone come in and look at its defects. I admit it, my house is lived in and its not perfect. So we already have something in common. When I do a a walk through of a home it is to determine the condition of the structure. Are there cracks in the walls and ceiling, what is the condition of the roof, are there visible signs that the foundation is failing. Are the floors flat or sloping and what s the condition of the sub-floors in the kitchen and bathrooms. Is there visible dry-rot in the widow sills, eaves or front and back porch. 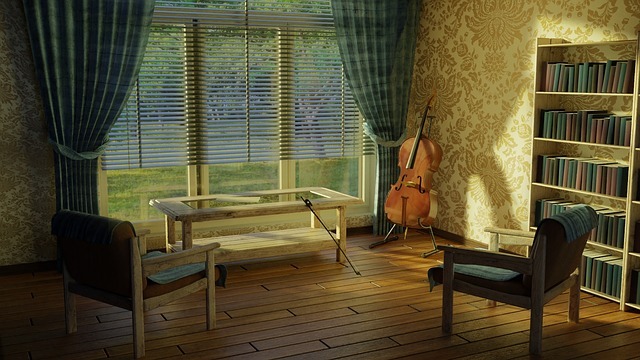 Are the windows single or double pane, wood aluminum or vinyl. What condition is the garage floor and driveway. What are the updates to the house in the past several years. Are there room additions or garage conversions… with or without permits? This is an evaluation that takes me roughly 30 to 45 minutes. In that walk through, I will ask you if its ok to open doors, cabinets and look inside closets. I will ask you questions about the electrical and plumbing and its ok if you don’t know the answers. I am just gathering information and establishing a baseline to determine the condition of the house. I cant and wont look at everything, but I do get a general sense of the condition of the structure, the bones of the house. I explain that I am NOT going to ask for an inspection and that if I make an offer it is going to be as is in the houses current condition. Most homeowners believe that if they only had time to clean up it may make a difference. The real problem is that sometimes the accumulation of items over the years makes that task next to impossible and overwhelming, because what is really need is a dumpster. Arriving at the house I immediately noticed that Elizabeth was still overly concerned about the condition of her house. She was obviously proud and I knew that it was my job to put her mind at ease. Regardless, she apologized for the mess the entire time, explaining that she would have liked some time to clean up prior to showing it. I explained that I had seen far worse and I wasn’t expecting a clean house. The walk-through took all of 30 minutes. 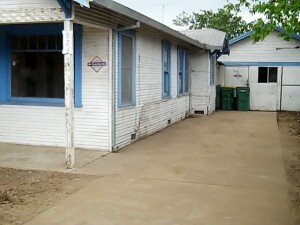 I was able to look at the entire house and determine in that time frame the condition of the house. 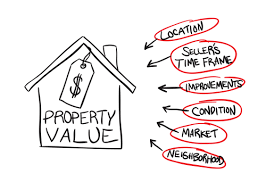 I have three resources to determine the value of a property. The first is the Multiple Listing Service that details all properties sold by a real estate agent and it details all properties sold and by geographic region as small as a quarter of a mile. The second is a service I pay for that pulls data from county records directly also showing sales of houses geographically within a quarter mile. Finally I receive a Title Company analysis that provides much of the same information. 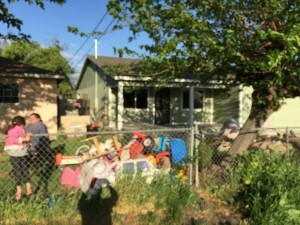 In this case all three reports validated each other and it became clear what the house was worth in its current AS IS condition and what it would be worth if it were completely remodeled. 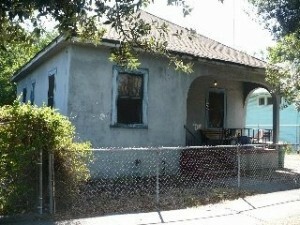 Altogether, I create a comparative market Analysis for any Stockton neighborhood. Elizabeth and I discussed the reports the condition of the house, the nature of the repairs and the cash offer for the house that I was prepared to make. As I explained the reports and gave her the number that I would be willing to pay in cash. She smiled and said… “Peter, I’ll take it. It is more than I expected and only a few thousand dollars less than the real estate agent though I would get, if I sold that way”. Keep in mind commissions and closing cost. When I buy a house I pay for the closing cost and there are no commission’s for the seller to pay. She was money ahead. The Preliminary Title Report came back clean with the exception of the Deed of Trust for the Mortgage and that would be paid with the sale of the house. Elizabeth wanted to be out of the house within 45 days. We picked a date on the calendar and drafted the purchase and sale Agreement. 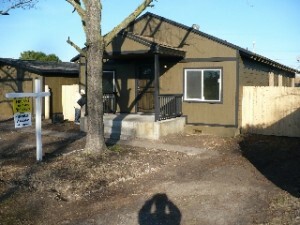 I submitted the agreement to the title company and closed the sale within 20 days. Elizabeth now lives in the family house that she grew up in, in Michigan. She is happy and I am happy for her. In real estate there are very few real estate transactions that go exactly as planned. There are always issues that present a challenge. The question is who is in your corner to make sure that those issues are taken care of and that they get done in a timely manner. 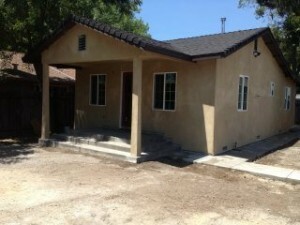 My name is Peter Westbrook and I am a local cash home buyer in Stockton, Manteca, Modesto and Sacramento CA. 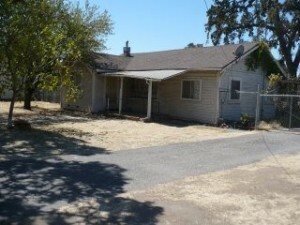 We Buy Houses in any condition and if you have a house to sell, call me at (209)481-7780. I know that I can help you. With nearly 35 years of business experience, nearly 10 years of real estate investing and 100’s of real estate transactions, I can present solutions that most others have never even heard of. I understand that not every situation is the same and sometimes we need to tailor make our solutions to best fit your needs. At these moments its important to line up the resources necessary to protect your assets while at the same time maximize whatever equity your house has accumulated. 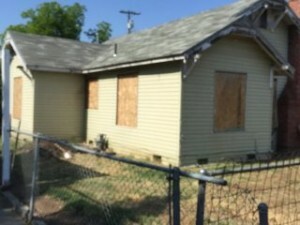 I do not want to list your house for sale, We Buy Houses in Stockton CA in any Condition, we pay cash and we can probably help you too.